The product is a backpack with an integrated subwoofer 2.1 system. An Ipod can be safely stored inside the backpack and controlled by a joystick on the armstrap, while wearing gloves during snowboarding. 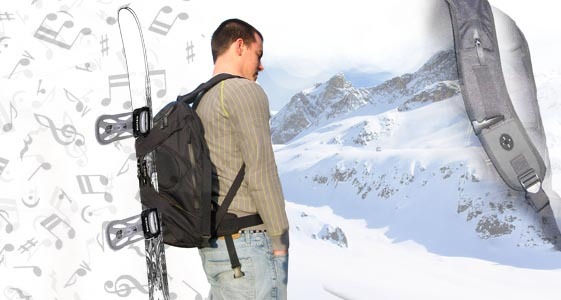 The backpack is designed to conveniently carry a snowboard during hiking. In addition to the speakers a headphone can be connected. Graduation project for study IPO at The Hague, 2006.